Human Chorionic Gonadotropin (HCG) is the hormone that controls metabolic functions during a woman's pregnancy. 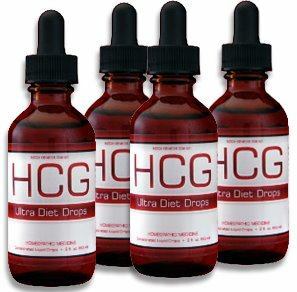 The HCG Diet program provides the benefits of HCG for losing weight with safe and easy to use drops. Formerly only available with a doctor's prescription, the HCG diet has helped many people over the years achieve significant weight loss. The HCG Protocol consists of taking HCG drops and following the HCG diet plan. The HCG diet plan is limited up to about a 1000 calories per day utilizing our protocol and HCG RECIPIES that allow you to eat HCG diet foods that work together with the drops to help the body burn stored deep tissue fat, control hunger and stimulate weight loss. 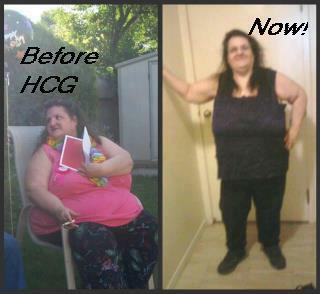 You will love HCG and your body will respond by burning thousands of calories each day from your stored fat. I know two people that are on this and have heard nothing but great things! One being my mom who has lost a segnificant amount of weight. My good freind Carol has been taking the dops and doing the diet and all i can say is WOW.. Its not a scam but there are products that claim to be the same thing (picture below) This diet actually works its AMAZING! This program is used to help you shed the fat off quickly and show you lifestyle changes that will help you to keep it off. It has long been known that HCG promotes weight loss, but until recently, HCG has only been available in the injectable form and required a prescription. 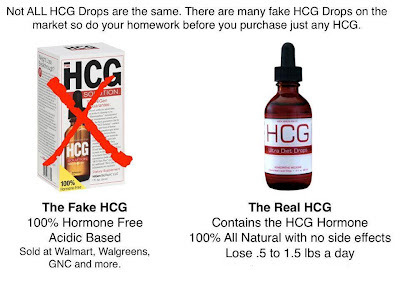 With the development of homeopathic HCG Diet Drops, the weight loss benefits of HCG are now available in a safe-to-use fo...rm, allowing virtually anyone to take advantage of the weight loss benefits of HCG. Although the HCG protocol (like many other diets) is fairly stringent, because of the rapidity of weight loss with HCG you need only adhere to the requirements for a relatively short period of time. For example, If your weight loss goal is fewer than 20 pounds, the entire diet is only 15 days! 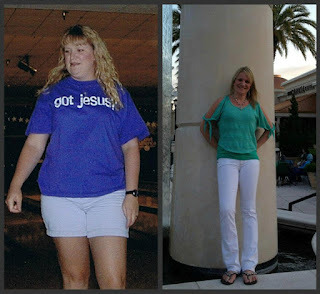 Additionally, HCG has the added benefit that, because it is making stored fat available to your body, while you are on the diet your hunger is well controlled. In addition to losing weight in a rapid and safe manner, the HCG 1,2,3 diet plan also helps prepare you and your body to keep the weight off after the diet has been completed. Not only does HCG help to “reset” your metabolism, but by adhering to the HCG Protocol, you are training yourself and your body, to eat less and in a more healthy manner, arming you with better habits as you move beyond the diet.